business customers and runs Windows 10 mobile. HP believes it’s the first phone able to replace a desktop. HP Elite X2 are hybrid laptops, so X3 is a different kind of beast. It’s obvious that HP has considered the business customer throughout the design and development process. The phone sports dual nano SIM cards, which comes in handy during business trips. Alternatively, it’s possible to use one ordinary SIM card and add an extra SD card to increase the storage capacity. There’s a fingerprint sensor and iris scanner for detection purposes. 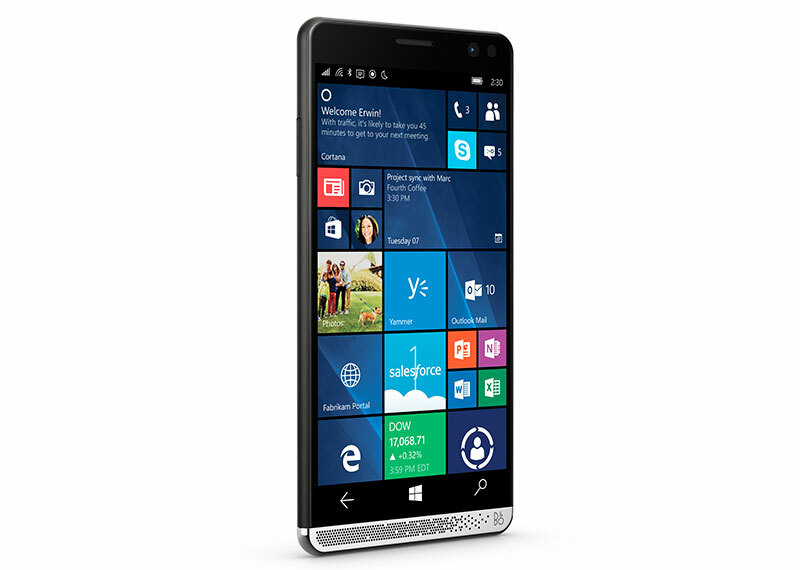 Business customers need high-end phones in order to be productive and the HP Elite X3 wont make anyone disappointed in terms of hardware. It has the latest Snapdragon 820 processor, 4 GB of RAMmemory and 64 GB storage. The 6-inch screen is super AMOLED and has a resolution of 2,560 x 1,440 pixels. Reviewers has found the screen able to display bright colours. The rear camera has a resolution of 16 MP. A LED flash and the low-light sensor make the camera take clear shots under various light conditions. Image source: HP. HP Elite X3 front-facing speakers. A prominent feature is the front-facing Bang & Olufsen speakers. HP has borrow the speaker design from its laptops. The speakers are located at the bottom of the phone and encapsulated in a silver grill. The mics are noise cancelling and HP claims that no speaker phones are required during conference calls. 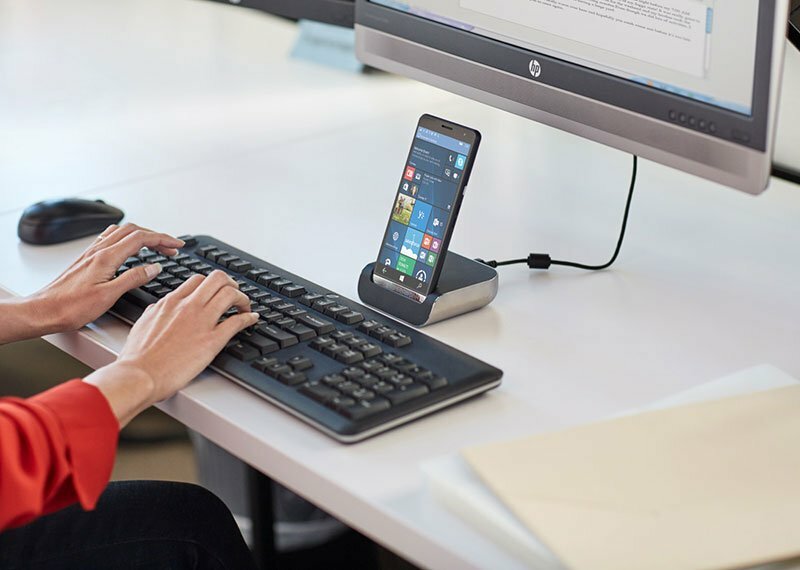 The Desk Dock accessory in conjunction with Continuum allows Elite X3 to connect to external monitors and other devices using the three USB ports. Hi-speed internets and intranets can be accessed using the Ethernet port. The phone will start shipping in June. It will only be sold to business customers.